Canadian artist Stephen Gibb is a self-confessed inspiration addict and has, by necessity, found it all around him. He gets his fix from the books he has read, the products he is consumed by daily and the chance encounters he experiences at every corner. 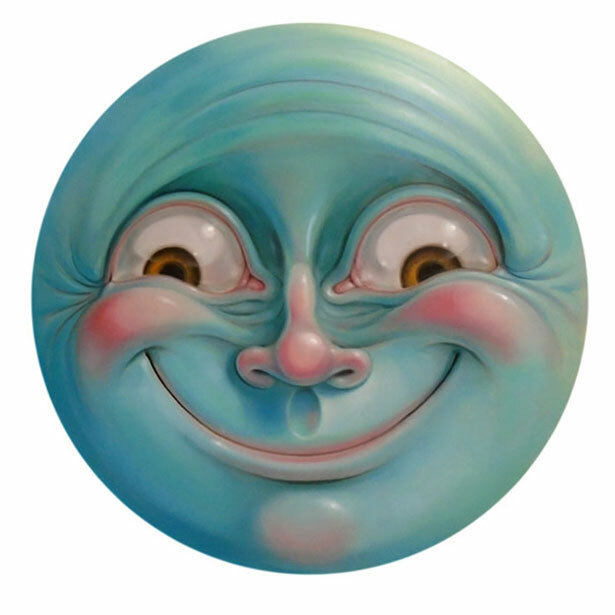 Take the iconic moon face—the anthropomorphized version of that familiar circular object in the night sky. Whether it’s portrayed as an observer from above, blithely engaging in a detached gaze or an active participant, reacting in emotional display as if it actually cares what is happening down below—the omnipresent moon acts as a witness, an agent of oversight, the audience. 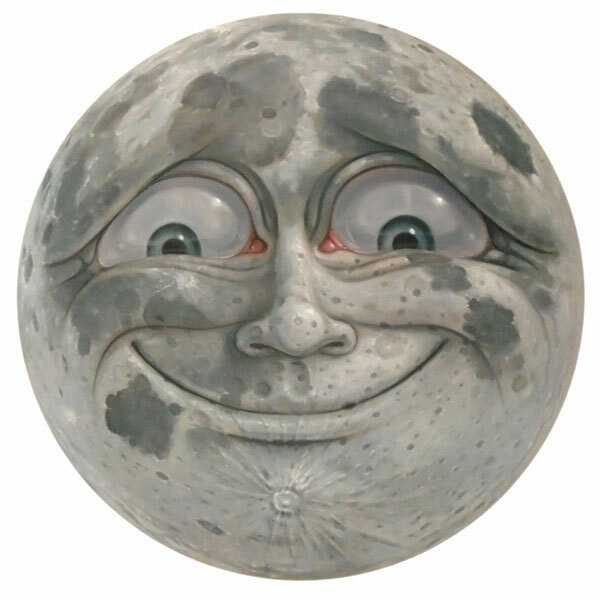 The moon face is an extension of nursery-rhyme imagery, in which objects are often portrayed with cartoon-like expressions for a more benign, humourous effect and occasionally with more human-like features, resulting in a more disturbing, unsettling face. It’s this unsettling boundary that Gibb is interested in—the point where cute meets with creepy and the observer vacillates between the two diametrics in a speed-of-mind frenzy. What are the characteristics that tip the scales in one direction or the other? 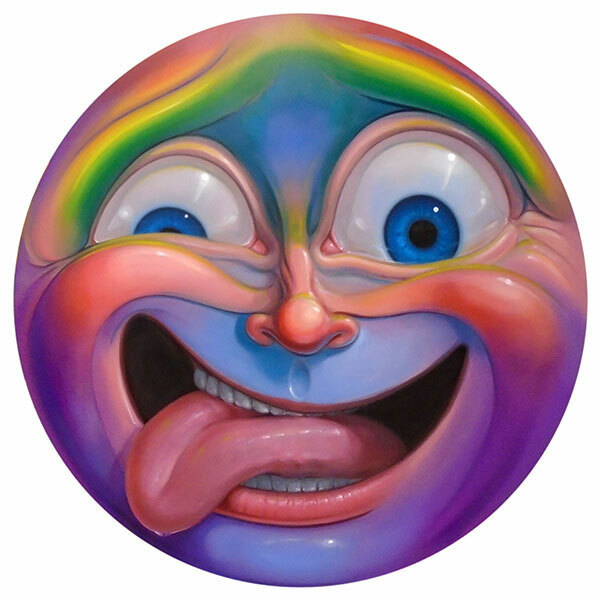 As simple as his moon face paintings appear, when physically encountered they assume an unexpected presence. Created as circular cut outs they become more like objects than just self-absorbed artworks contained in an “I-AM-ART” frame. This entry was posted in Canadian art, Canadian Artist, Canadian Surrealism, Pop Surrealism, Surrealism and tagged canadian art, canadian artists, moon, moon art. Bookmark the permalink. Both comments and trackbacks are currently closed.